After assuming ownership, Thompson promptly hired Greasy Neale as the team’s head coach. In its first years under Neale, the team continued to struggle. 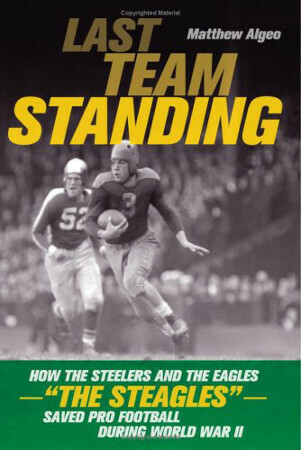 In 1943, when manpower shortages stemming from World War II made it impossible to fill the roster, the team temporarily merged with the Steelers to form a team popularly known as the “Steagles.” The merger, never intended as a permanent arrangement, was dissolved at the end of the 1943 season. This season saw the team’s first winning season in its 11-year history, with a finish of 5-4-1. In 1944, however, the Eagles finally experienced good fortune, as they made their finest draft pick to date: running back Steve Van Buren. At last, the team’s fortunes were about to change.